The papers are from the new stack Copper Blues by DCWV. I added blue distress ink (Ranger) over a coffee stains stencil (TCW), script with a blue marker (Faber-Castell) and Art is... stencil (TCW), plus sapphire glimmer mist (Tattered Angels). I used another stencil (TCW) to create the leaves in the background with a metallic copper paint (Martha Stewart), outlined with the blue marker (Faber-castell). Tittle cut with Cricut (Wild cart cartridge). And of course the fussy cut flowers ! Keeps that in mind and have a wonderful day ! Fantastic interpretation of our challenge and yes I would agree, your photo is brilliant for this title. Love what you have done here and thanks for playing along with us at More Than Words. Thanks Di ! 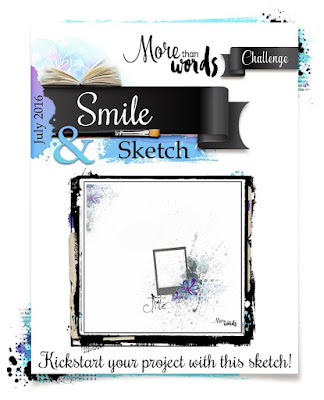 Your MTW challenges are always fun to play with ! Oh my, this is absolutely gorgeous !! 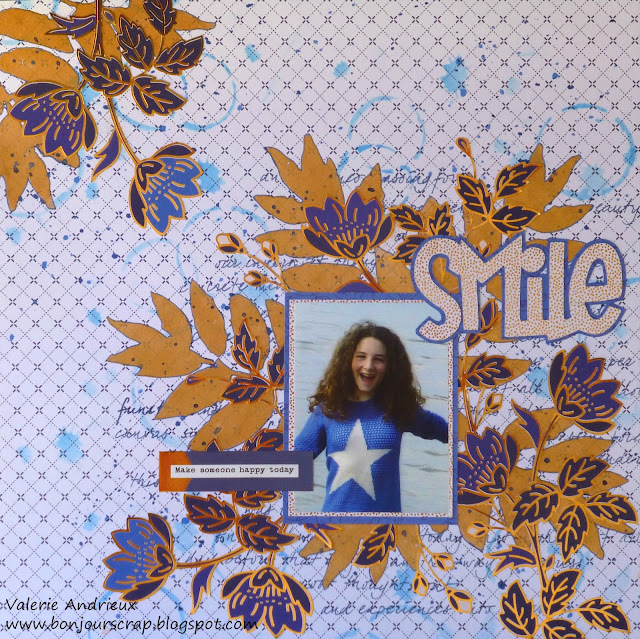 Great great work with your stencils and fussy cutting, it looks FANTASTIC !! Thank you so much for joining us at More than Words !! Thanks for your kind comment, Helen ! Thanks for these kind comments ! Wow, this is so very creative. I love it! Thank you for playing along with us at More Than Words. I'm glad you like it ! Thanks Joyce ! So very lovely! Love all that gold accent! Thank you for playing along with us at More Than Words! This layout surely shine... Thanks Nicole ! Very fabulous! I love! Thank you for playing along with MTW. 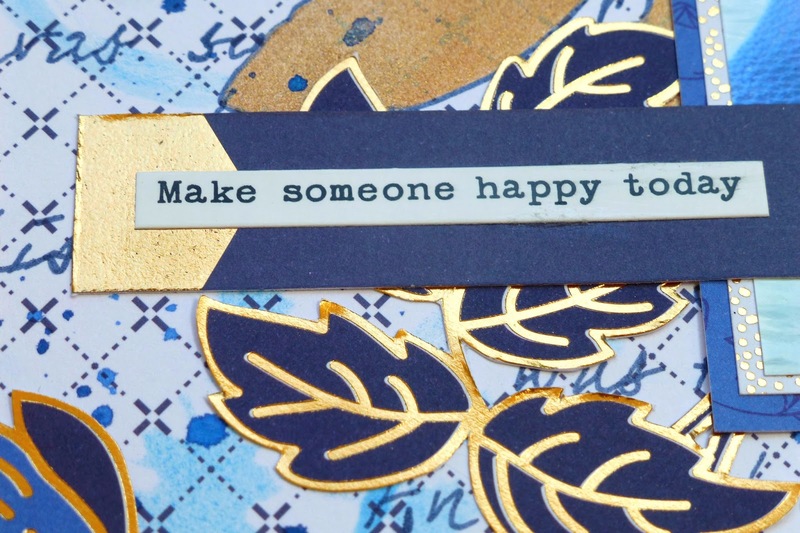 Glad you love this stenciling/fussy cutting ! Thanks !